Lawrence Tomlinson has grown an impressive business portfolio from a single care home in 1988 to the award winning LNT Group which employs over 1000 people across its five diverse core businesses. 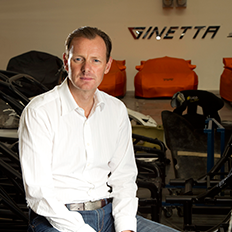 Now as LNT Group’s Chairman, Lawrence is one of the UK’s most successful entrepreneurs. Tomlinson Report Author Responds to Full Publication of the FCA Report. On 20th February, the Treasury Select Committee has published the full unredacted report into RBS’ Global Restructuring Group and its treatment of SMEs. This comes over four years after Lawrence Tomlinson first published his findings on the bank and called for further investigation by the appropriate authorities. The Treasury Select Committee invoked parliamentary privilege to publish the report due to overwhelming public interest in doing so. This came after months of dispute with the FCA and several leaks of the report in the media. The FCA is still currently investigating GRG and Lawrence Tomlinson welcomes the publication of this report and the further investigations being carried out. “The irony is surely not lost that the Chief Executive of the bank had to be reminded by the Chair of a parliamentary committee that one of RBS’ values is “doing the right thing”. RBS need to take responsibility, hold their hands up and do the right thing by their customers. This is not about what I accused RBS of. It is not about what RBS can deny. It is about what happened in RBS GRG and the terrible way in which their customers were treated as found by the FCA. It is time for the bank to grow up, stop these playground games and concentrate on what matters – what their staff did to their customers. Tomlinson Report Author Comments on RBS Grilling by Treasury Select Committee. Earlier today, the Treasury Select Committee held an evidence session on RBS’ Global Restructuring Group and its treatment of SMEs. Oral evidence was provided by Tony Boorman, Managing Director of Promontory who investigated the bank on behalf of the FCA and upheld the allegations against the bank. Ross McEwan, RBS Chief Executive, and Sir Howard Davies, RBS Chairperson, were also questioned by the committee. “It seems that after significant pressure from the Treasury Select Committee, RBS has finally admitted to the findings of the FCA section 166 report. Based on RBS’ denials to date, it is not surprising that Ross McEwan forgot RBS’ fourth business principle: “Do the right thing”. FCA Final Summary Provides Further Evidence of the Breadth of Inappropriate Treatment of RBS SME Customers in GRG. Today, the Financial Conduct Authority [FCA] has published its Final Summary of the section 166 Independent Skilled Persons Report on Royal Bank of Scotland’s [RBS] Global Restructuring Group [GRG]. The FCA has amended its Interim Summary, originally published on 23rd October 2017, based on the recommendations of the Specialist Advisor to the Treasury Select Committee. The changes to the summary bring further clarity to the extent of the Skilled Person’s findings and the level of bad practice identified in RBS’ GRG. “It is striking that on the basis of pressure from the Treasury Select Committee, the Financial Conduct Authority has had to update its summary to include important details about its findings on RBS' GRG scandal. I am struggling to understand both why the FCA has chosen to make this release so opaque and why these details were excluded from the original Interim Summary in the first place. The lack of transparency is staggering. Most significantly, the FCA has included a table detailing the thematic findings against the bank and the number of businesses affected. It is now clear the majority of the original allegations made against RBS GRG have been upheld either fully or to some extent. Let's remember that these "cases" relate to real people whose livelihoods have been destroyed. Someone at RBS either knew, or should have known, what was going on in GRG. It is sickening that those responsible for the GRG scandal are still living the high-life on the back of a career funded by bad practice and mistreatment of customers. It is those affected customers, as well as shareholders and UK economy, who have had to pay the price for their misdeeds. Despite the findings of the independent reviewer and the FCA, RBS is still trying to deny the majority of the conclusions of the report. It's time to force the bank to take its head out of the sand and hold those responsible for GRG to account." FCA Interim Summary Finds Widespread Inappropriate Treatment of Businesses in RBS' Turnaround Division. The Financial Conduct Authority's [FCA] published its interim summary of the section 166 investigation into RBS' turnaround division, Global Restructuring Group at 14:00hrs this afternoon [23.10.17]. The investigation into RBS was ordered on the back of a report by entrepreneur, Lawrence Tomlinson, who made a number of serious allegations against the bank. Today's publication by the FCA upholds the majority of Dr Tomlinson's allegations, raising significant concerns about the conduct of the bank and is undertaking further investigation to consider possible regulatory action against the bank. “Banks do not treat their customers inappropriately, bankers do. For too long, shareholders have paid the price for the misconduct of individuals within banks who face no penalty and continue to make terrible decisions for the bank, their customers and UK economy alike. It’s time for that to stop. It’s hard to choose which part of the FCA Interim Summary to comment on: perhaps their damning indictment of the profit-driven culture in GRG? The systemic impacts of the conflicts of interests in GRG’s objectives, as well as its close-working relationship with West Register and their Strategic Investment Group? Or perhaps the fact that 92% of potentially viable cases experienced inappropriate action at the hands of GRG and in 11% of all cases this led to material financial distress? Of the 40 allegations made in my initial report, the majority have been confirmed by the section 166 investigation and some of the most serious allegations were found to be widespread and systematic. In many ways, the FCA report makes many more serious findings about the way RBS’ turnaround division operated than the Tomlinson Report did. Part of the next stage of the FCA investigation will be considering the involvement of senior management in the bank - someone knew, or should have known, what was happening in this atrociously behaved division of the bank. Now the Financial Conduct Authority needs to live up to its name and look at the conduct of the individuals involved in senior management at the bank. Author of the Tomlinson Report, Lawrence Tomlinson, has responded to the BBC report on 20.10.17 that Police Scotland are conducting inquiries into the Royal Bank of Scotland’s turnaround division, Global Restructuring Group. Whilst the police have not yet formally launched an investigation, it is understood the economic crimes unit in Police Scotland has been collecting evidence in consideration of a potential criminal investigation against the bank. The BBC also reported on an internal memo entitled “Just Hit Budget” which directed colleagues to extract maximum value from businesses being assisted by GRG. “All I have ever wanted to achieve since publishing the Tomlinson Report in 2013, is a thorough investigation into what happened in RBS’ Global Restructuring Group. It seems that the authorities are finally taking note and looking seriously at the conduct of the bank and its employees. Whilst I have not seen the “Just Hit Budget” document referenced by the BBC, its reported content reflects the type of treatment of businesses that gave rise to my report. “How can the FCA justify that publishing the full report into the mistreatment of thousands of UK businesses by RBS’ Global Restructuring Group is not in the public interest? I am shocked by Andrew Bailey’s suggestion that the investigation was conducted "on the basis that there is no intention to publish". Any suggestion that the report may not be published has only arisen since it became clear that the conclusions of the investigation were heavily critical of RBS. Until then, the FCA’s statements had suggested that it would be published. I wonder whether we would be awaiting publication if the report cleared RBS’ name? The FCA should be bringing the individuals involved to justice. Banks do not make decisions, individuals working in the bank do. Many of the individuals responsible for the GRG scandal will still be working in the sector and may even be senior managers of banks. What is going to stop another GRG style scandal from happening again if these people get off scot free for this devastating misconduct? Another fine for the bank will not do so, as all that does is punish shareholders for the actions of officers in the bank. After all, RBS is 70% owned by the Government so as tax payers we would be paying the lion-share of those fines. “Now the BBC has seen the FCA report, it is in the public interest that it is published in full. I call on the FCA to immediately takes steps to make it available. Given what has been reported by the BBC, whilst the FCA may not be able to take regulatory action, customers and potential customers should be given the opportunity to know what their bank thinks is appropriate behaviour. Many will hear of RBS' mistreatment of SMEs in their GRG unit and know it is not only wrong, but frankly a disgusting way of treating "valued" customers. If they knew the extent of how RBS had tried to avoid culpability, I am sure many would look for a different banking partner. What will it take for RBS to admit GRG was not a turnaround division and that they profited from their customers' financial distress? Lawrence Tomlinson, author of the Tomlinson Report, first exposed the unfair treatment of businesses in the Royal Bank of Scotland’s (“RBS”) turnaround division Global Restructuring Group (“GRG”) in his report on 25th November 2013. RBS has today announced their admission that they did not treat customers fairly and will be setting up a complaints process and compensation scheme for fees charged in the unit. “At last we are seeing some admission from RBS that they did not treat customers fairly in their turnaround division Global Restructuring Group. As I said to Ross McEwan at the time of publication, all my report summarised was the experiences of its own customers, what they were saying about the bank’s behaviour and when brought together, what this looked like to the outside world. It has taken the bank three years to admit that the core elements of those findings were correct. The FCA has stated in its findings that parts of this inappropriate treatment could be considered “systematic”, resulting from a failure to “recognise and manage the conflicts of interest inherent in GRG’s commercial and turnaround objectives”. The twin objectives of GRG, as stated, are clearly incompatible without serious risk to customers or rigorous oversight and governance. The FCA conclude that RBS did not safeguard its customers from inappropriate treatment in favour of the bank through its poor governance and lacking oversight. In summary, the FCA found: fees were unfair; SMEs were not supported in line with good turnaround practice; customers received misleading communications; there was a significant conflict of interest in West Register; and valuations were not undertaken correctly. Most importantly, the FCA found widespread evidence of “placing an undue focus on pricing increases and debt reduction without due consideration to the longer-term viability of customers.” This makes it clear that the bank put profit ahead of the viability of businesses. Coupled with the confirmation from the FCA that businesses were misled by the poor communication on transferral into GRG, one rightfully questions whether the purpose of GRG as a turnaround division was completely lost by the bank in its practices and whether this led to misrepresentation to businesses. An investigation by BuzzFeed News and BBC Newsnight, released today, has brought to light thousands of previously unseen internal documents, which add further pressure to the Royal Bank of Scotland over allegations about their turnaround division, Global Restructuring Group (“GRG”). The unit of the bank has been under investigation by the Financial Conduct Authority since the publication of the Tomlinson Report in 2013, authored by the Government’s Entrepreneur in Residence at the time, Lawrence Tomlinson. Responding to today’s revelations and having reviewed a selection of the RBS Files, Lawrence Tomlinson has declared them ‘evidence’ of the allegations made in the Tomlinson Report. “The RBS Files show the Royal Bank of Scotland, and its Executives, took the opportunity to make profit from businesses in distress whilst telling them that they were there to ‘help’. The Files show the excessiveness of fees and interest charged in GRG and unequivocally demonstrate the ‘value-added’ to the bank’s balance sheet through GRG’s work on risk-weighted assets. As a result, GRG has damaged thousands of viable businesses in the pursuit of profit for the bank. Three years ago, I called for an investigation into the behaviour of GRG. Since then, we have been waiting for the results of the Financial Conduct Authority’s (FCA) review of this unit of the bank. Today’s report from BuzzFeed News and BBC Newsnight on the RBS Files demonstrates that the perverse incentives I described in the Tomlinson Report did exist within GRG. There are unmistakable conflicts of interest between West Register and GRG. Most vitally, despite the protestations of the bank and statements of GRG’s Executive Team at the time, Derek Sach and Chris Sullivan, this division of the bank was not only a profit centre, it made over £1.2bn of profit from interest and fees in 2011. That is before accounting for the billions of pounds of ‘value-added’ to the balance sheet they boast of. •	Why has RBS so vehemently denied the allegations of the Tomlinson Report when the bank was in possession of the evidence at the time? •	Why were RBS’ ‘independent’ reviewers, Clifford Chance, not given access to these documents ahead of the publication of their report? •	Were the FCA in possession of this information and if so, why has it taken so long for the FCA report to be published? I trust the bank will now be retracting the statements it made about the Tomlinson Report. It is a national disgrace that UK taxpayers, as majority shareholders in RBS, have been picking up the legal bill for all these reviews and investigations, when the bank could simply have held up its hands and put things right. RBS’ Chris Sullivan even went so far as to cancel my NatWest business and Coutts personal bank accounts the evening before he made misleading statements to the Treasury Select Committee in defence of GRG, despite knowing the contrary to be true. For me, the biggest part of the scandal is what RBS told the businesses about the purpose of GRG, compared to what actually would happen to them in that unit of the bank – the lack of transparency is astounding. This has all been enabled by a system pervaded by conflicts of interest of so called ‘independent’ parties. The purported neutrality of professional services utilised by GRG to provide ‘impartial’ verification of their decisions is called into doubt by the fact that almost 10% of the workforce in GRG was made up of secondees from these firms. Not to mention the role of West Register within GRG. The Times has today reported new evidence which provides further backing to the allegations made in the Tomlinson Report. The Times reports that documentation and whistle-blower evidence has come to light which shows a concerted effort by RBS to utilise their Global Restructuring Group (“GRG”), to “reduce exposure to businesses that had badly affected its capital position” which led to “stripping assets of struggling firms”. The findings suggest that, in 2011, GRG personnel were trained to specifically assess the impact of SMEs on the bank’s capital ratio, which led to the financial pressures and foreclosures reported in Lawrence Tomlinson’s report. “These findings are in line with the information received in the compilation of the Tomlinson Report which demonstrated that the RBS non-core strategy included perfectly operable SME businesses. The evidence, uncovered by The Times, seems to confirm that GRG was the tool RBS used to implement their strategy of reducing non-core assets. “There can be no clearer evidence that the Government-backed banks are too big and require decisive political action to prevent the continuation of the banking scandals of the last seven years. I’m delighted that this has come to light so close to the General Election giving whichever Party, or Parties, who form the new Government impetus for change. Splitting up the banking oligopoly by breaking up RBS and Lloyds is the only tenable way of refocusing the banks on their customers’ needs, injecting competition back into the market. The onward impact will be felt across the UK economy, supporting the industries which are the powerhouse for growth and exports. Following the publication of the Treasury Select Committee report, “Conduct and Competition in SME Lending”, Lawrence Tomlinson has released the following statement in relation to two key aspects of the report; the conduct of the Royal Bank of Scotland’s Global Restructuring Group (GRG) and competition in the banking sector. Lawrence Tomlinson responds to RBS/Treasury Select Committee exchange on ‘inaccurate’ evidence.
" It’s extremely disappointing that once again RBS has not taken an open and honest approach to dealing with very serious allegations. The misleading nature of the evidence provided by RBS executives Derek Sach and Chris Sullivan makes a mockery of both the Parliamentary process and of the SMEs who have suffered as a result of the banks’ actions. Once again, we are left to question whether this is incompetence on behalf of the bank or intentional distortion of the facts. Either way, when we have paid such a high price to save the bank, and to remunerate the highest quality staff, it is beyond unacceptable that this behaviour should continue. Mr Sullivan even reportedly received a £470,000 bonus shortly after his appearance in front of the Committee"
The bank is still too big to fail and in turn, too big to control – it’s time for decisive action to create smaller, more manageable banks who have to compete for clients to stop the perverse incentives that have prevailed amongst the biggest banks. “I’m extremely pleased with today’s decision from the Competition Market Authority to issue a Market Investigation Reference into SME banking which has received widespread support. I have long been a proponent of increasing competition in the banking market place as decisive action is needed to rectify the David and Goliath nature of the business/bank relationship, addressing the negative culture that has developed in these institutions. It’s time to get banks serving business again - not the other way round! This can only be achieved through the break-up of the banking oligopoly between Lloyds and RBS into six smaller, more manageable, accountable and competitive banks beyond the small divestments already planned. Whilst we have seen an upturn in the economy, the real economy is still not showing the growth we need for long term sustainable growth with exports continuing to struggle. Access to finance and fair banking arrangementsis necessary to enable SMEs, the engine behind our economic success, to flourish. Lawrence Tomlinson is today publishing the findings of his report on banks’ treatment of businesses. Lawrence’s report focuses on the large body of evidence he has received about RBS’ turnaround division, Global Restructuring Group (GRG). He has uncovered very concerning patterns of behaviour leading to the destruction of good and viable UK businesses. Lawrence, who is the Entrepreneur in Residence at the Department for Business, Innovation and Skills, is calling for further investigation into this behaviour by the appropriate authorities and immediate action to stop this unscrupulous treatment of businesses. “The profit-making nature of GRG significantly undermines its position as a turnaround division, in which good businesses should be restructured and returned to normal banking. The temptation to get hold of assets and take additional profit from these businesses to boost GRG’s balance sheet is clear. From the cases I have heard, it is clear that a perception has arisen that the intention is to purposefully distress businesses to put them in GRG and subsequently take their assets for the West Register at a discounted price. This needs to be addressed and the conflict of interest removed.